This would perhaps surprising for many of our readers that the Samsung’s flagship smartphone, the Galaxy S II has defeated the most popular Apple’s iPhone 4S for a Best Phone of the Year award. A popular weblog dedicated to consumer electronics, Pocket-Lint in one of its post announced the winner of their Gadget Awards. Their 8th Annual Gadgets Awards for Best Phone goes to Samsung Galaxy S II, leapfrogging the other popular smartphones including: Apple’s iPhone 4S, HTC Sensation, Nokia Lumia 800 and Sony Ericsson Xperia Ray. The five smartphones were shortlisted for the same category and then from those five the best phone had been chosen by the panel of “elite judges” based on members of British newspapers, leading websites and television channels. Moreover, the award-selection process also included contribution of about 100 journalists and readers of their websites. 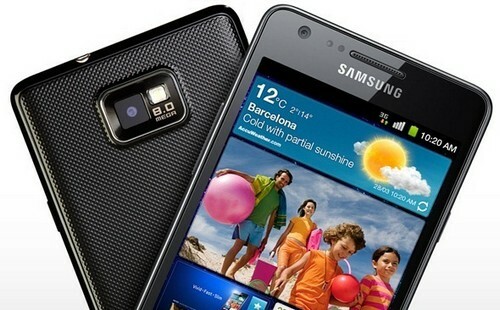 However, the weblog didn’t disclose the actual facts for nominating the Galaxy S II as the Best Phone over other four nominees. Undoubtedly, Samsung Galaxy S II is impressive with its larger display, a powerful camera and of course smart design compared to iPhone 4S’ smaller display. But iPhone does have sharper display, powerful camera and somehow better looking design. Yet, we are not sure that why Galaxy is preferred for the award. However, it is important to note here that the Samsung Galaxy S II has been awarded with this award by only this weblog. Although, many of you may have familiar with Pocket-Lint, but still the weblog is no authority on smartphones either. We have already seen that Apple’s latest iPhone 4S has already beaten Samsung Galaxy S II with its record-breaking sales since its launch in October. You might not forget the features like Siri, high-resolution camera, and dual-core chip used in the iPhone 4S. One Response to "Pocket-Lint’s Phone of the Year Award Goes to Samsung Galaxy S II"